March 17, 2016- This month, middle school students from Columbus Charter School (CCS) joined 40 local middle schools from five counties in a regional Science Olympiad competition held at UNC-W. This year’s competition was the first ever for CCS, whose inaugural team earned impressive top-ten finishes in three events. Electric Vehicle: Teams must design, build and test one vehicle that uses electrical energy as its sole means of propulsion to travel as quickly as possible and stop close to a Target Point. Bridge Building: Teams will design and build the lightest bridge with the highest structural efficiency that can span a given opening meeting the requirements given. Fossils: Teams will demonstrate their knowledge of ancient life by identifying fossils and answering questions about classification, habitat, ecologic relationships, behaviors, environmental adaptations and the use of fossils to date and correlate rock units. CCS is a K-8 tuition-free public charter school in Whiteville. As public charter schools have the freedom to offer alternative curricula to state-mandated educational programs, CCS opts to provide a unique classical curriculum. CCS currently provides both the top-scoring elementary and middle schools in Columbus County on state End-of-Grade tests. The school was represented in competition by 15 students in grades 6-8. CCS’ sister school, Charter Day School also competed in the event and earned a 7th place finish of 40 schools in overall competition. Charter Day School is located in Leland and offers an identical educational program to that at CCS and also provides the top-scoring elementary and middle schools in its county—Brunswick— on End-of-Grade tests. The educational program in place at both schools is provided by The Roger Bacon Academy, Inc. (RBA), an educational management company that provides curriculum, support, and administrative services to public charter schools. The RBA family of schools also includes Douglass Academy in downtown Wilmington and South Brunswick Charter School in Southport. 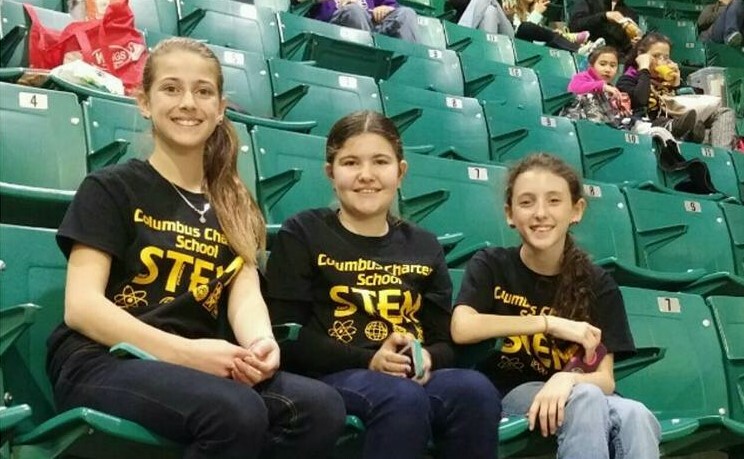 The CCS Science Olympiad team was coached by middle school teachers Crystal Buffkin, Kellye Fell, and Christy Prince. Congratulations to all participants, coaches, and families! All four schools in the RBA family are enrolling students for the upcoming 2016-2017 year on a first-come first served. All schools are tuition-free, public, and offer a classical curriculum which, among other subjects, includes Latin and Cursive. For more information, please visit www.rogerbacon.net.